This month only, enjoy special savings on Eaton, RAB, Satco, Nutone, Allied Moulded, Highline Products & Halco! Want to stay up to date on the latest deals from Cardello? Visit our Specials page to sign up for our free mailer, sent directly to your home or business each month! Special pricing valid April 1-30, 2019 only. Looking to have something specific stocked? 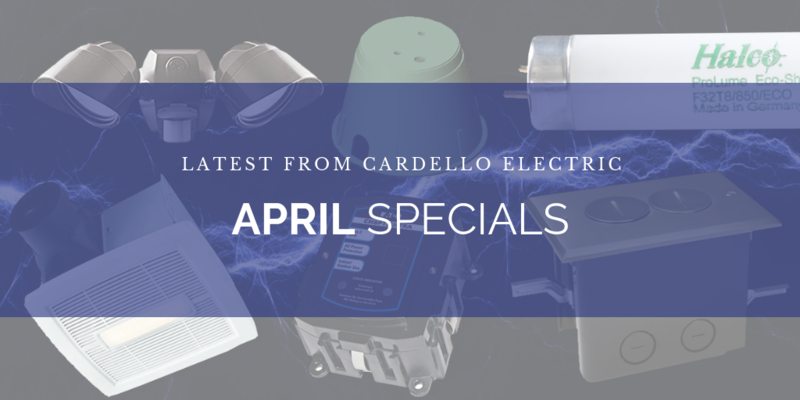 Visit your local Cardello Electric counter to discover how we can better serve you.